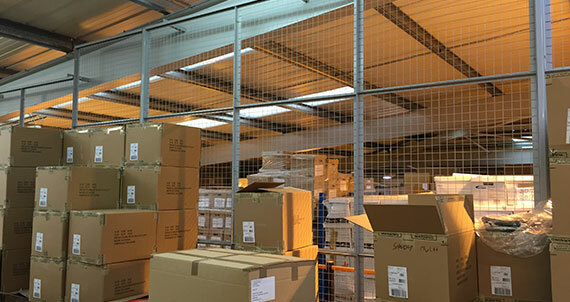 factory dividing walls and mesh roofs. 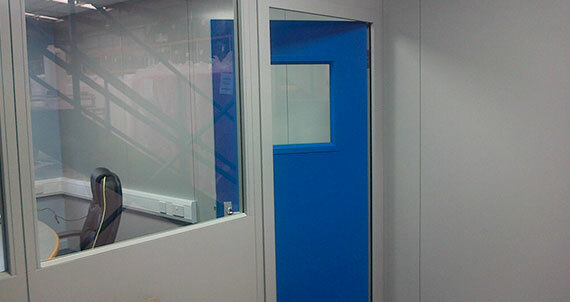 The system is quick and easy to construct and has a comprehensive range of single, double and sliding doors available. These can be fitted with most types of locks and latches, including interlocks. Europaâ€™s glazed panels are fitted with laminated safety glass during the manufacturing process, ensuring an exact fit and saving installation time. 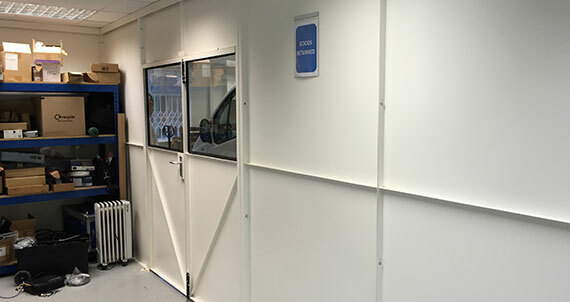 The panels are bolted to the floor which means it has the added benefit of being de-mountable and re-locatable with a minimum of effort. Europaâ€™s standard range comes in a wide variety of width options; however standard configurations do not always fit into required spaces, therefore the non-standard or bespoke design is always an option. Europa is also available in various vertical configurations â€“ all solid, solid/glass, solid/glass/solid, solid/mesh, and all mesh. 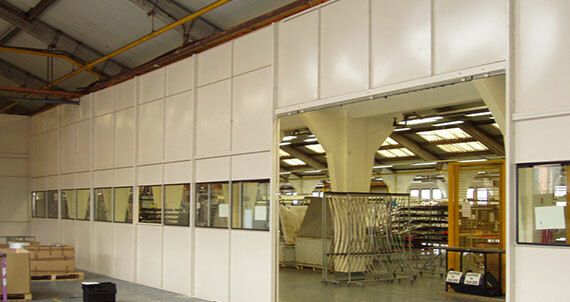 Europa single skin partition system is constructed in a formation of panels, support mullions and top capping. 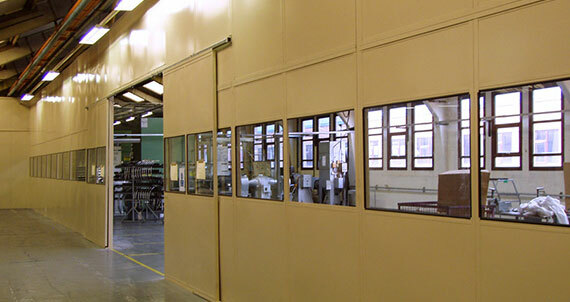 The support mullions are positioned at a maximum of 3.7m centres with generally 3 standard panels between and a single top cap connecting the 3 panels together. 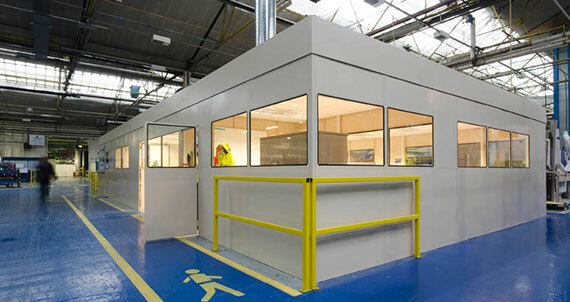 Once all of these components are bolted together they provide a rigid partition wall up to 3.66m high. 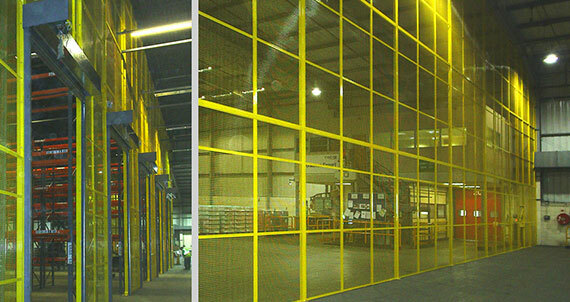 Double lift applications above 3.66m are available â€“ please consult the office. Europa 2 Premier is an integrated double skin steel partition system where a smooth internal and external finish is required, with minimal joints. 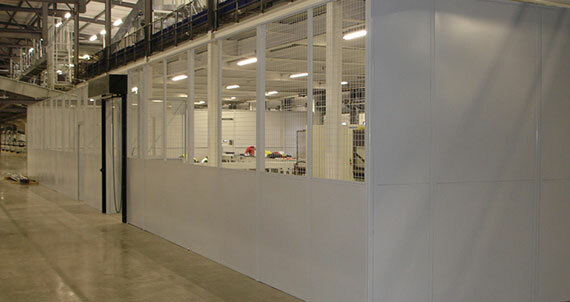 The system is suitable for a wide range of applications including security areas, offices, storage areas, factory dividing walls and locations in food or chemical production areas. 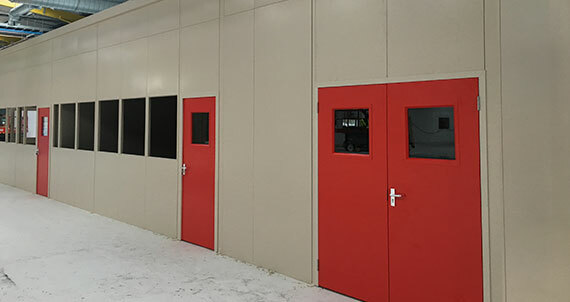 The system is quick and easy to construct and comes standard with high performance single or double door sets. The panels sit directly into a floor channel, with an option of laminate skirting, and lock into adjacent panels by means of an internal locking channel making installation fast, simple and secure. Europa 2 Premierâ€™s standard range comes in a wide variety of width options. 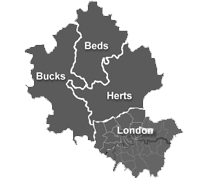 However standard configurations do not always fit into required spaces, therefore the non-standard or bespoke design is always an option. Europa 2 Premier is also available in various vertical configurations â€“ all solid, solid/glass/solid or steel & glass. 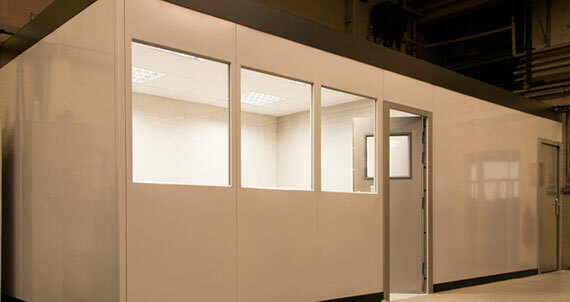 For a lower cost solution we also offer more economical options: standard Europa 2 - double skin partitioning or Europa - our single skin partition system. Please ask for further details.